Its that festive time of year where socks come into the limelight for better or worse. As far as cycling goes they are instrumental in the battle for warm feet during the cold months. Luckily I’ve been testing a pair of Defeet Woolie Boolie on the bike and I’m pleased to report that my cold feet nightmare has drawn to a close. This is a super warm pair of socks and when used in conjunction with an overshoe keeps things nice and toasty. Now its been fairly mild recently (for December) so I’m also keeping a Sealskinz thermal liner socks as a back-up for the sub zero days. These can be worn underneath the Woolie Boolie for extra warmth. Now I just need a Woolie Boolie with some colour, the charcoal is a bit dull. The opportunity has finally arrived to train with a power meter; a Stages Cycling Ultegra power meter which takes the form of the left hand crank arm replacing the original. There are lots of options in the market place for training with power both more and less expensive than the Stages offering. Some are based in the rear wheel hub and others in the crank itself. I am sure it won’t be too long before a company like Shimano actually builds it in as an integrated option. The installation of the Stages power meter is straight forward and simply a case of removing the existing left crank arm and replacing it with the Stages power meter crank arm. Note I have the Stages Ultegra 6800 as the colour matched my Ultegra 6770 groupset; there are no compatibility issues The power meter includes a battery which requires a slip of plastic removing in order for it to make contact. Note that there does seem to be an issue with clearance for some bikes so Stages offers a diagram which shows a 10mm hex wrench inserted between the crank arm and chain-stay as a check for clearance. There has also been issues with the product and water penetration so it is clearly pointed out that the battery door must be correctly inserted and the o-ring type seal in the correct position. After installing the crank I followed the set up instruction for pairing with a Garmin Edge 500 and ran through the calibration. 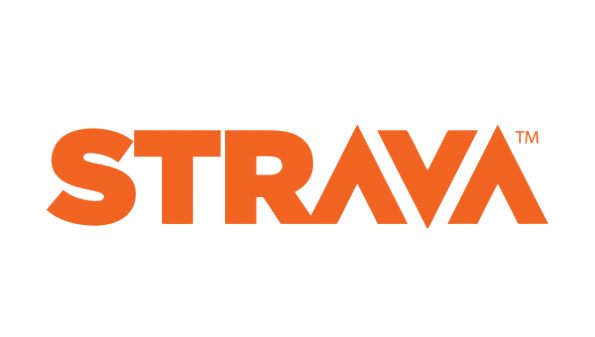 The Stages unit communicates with Garmin through Ant+ but also has Bluetooth to communicate with fitness apps on your phone such as Strava. The first couple of rides out on the road the signal would continuously drop and the power reading would hit ‘0’ and then three dashes (‘- – -‘) would appear before a few seconds of nothing and then the reading would come back but only to drop off again. Stages have a good list of potential fixes in their support section so after updating the firmware for the power meter via an app on my iPhone and updating the software on the Garmin I tried again. Sadly no luck. Finally I switched my Garmin ‘out front’ bracket which holds the Edge 500 in front of the handlebars to the standard bracket which holds it in place on top of the stem with rubber bands. Hey presto no signal drop off between Garmin and the Stages and all is well with the power readings. I would guess that due to the position of the Garmin unit with the out front bracket that the handlebar itself is attributing to interrupting the signal. Now onto the fun bit which is to make good use of the data while training. Back soon…. 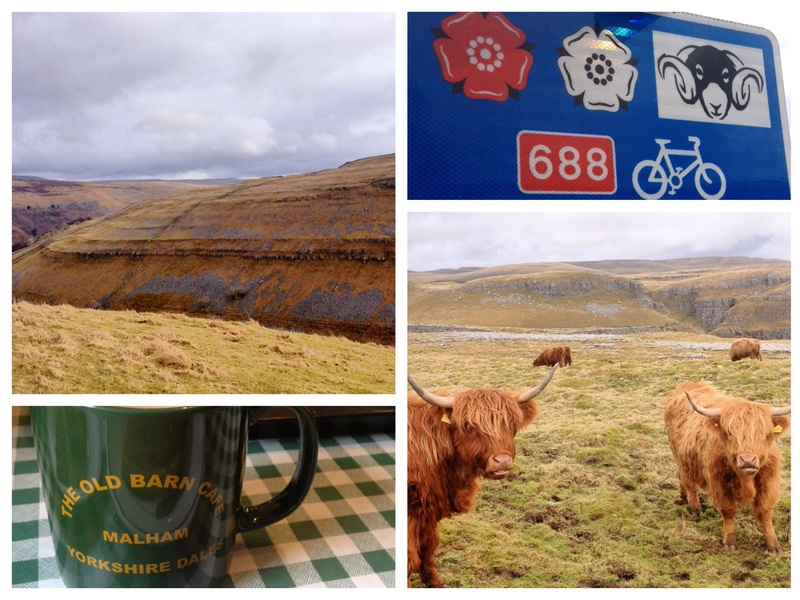 I am back training in the Yorkshire Dales this weekend. It’s always a bit of a treat as its some of the finest landscape in the country, with marvellous limestone formations contrasting with the heather clad moorlands and dry stone walls. Lots of hilly route options and unpredictable weather can make for some perfect cycling to push outside of the comfort zone. Ballistic hills, ice rain and headwind all combined for some challenging riding. 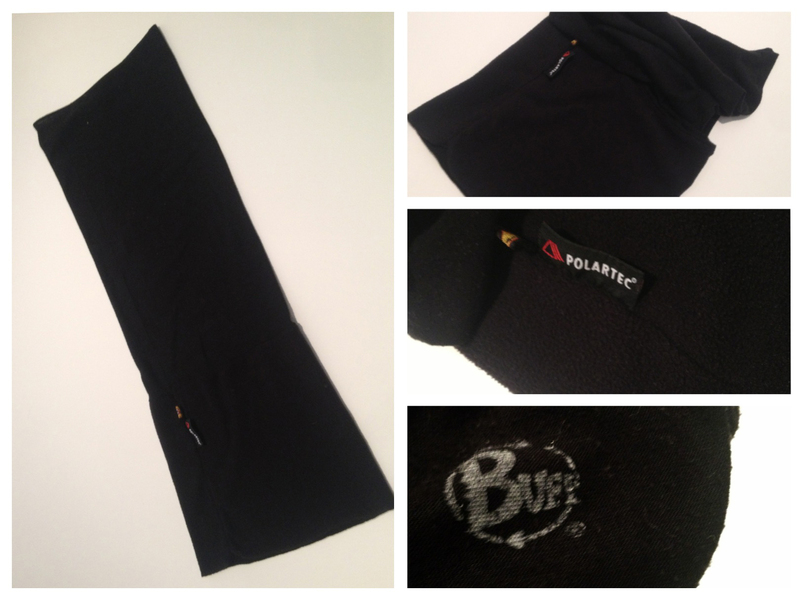 Say hello to the Polar Buff which is fast becoming my best winter friend whilst training during these cold months in the UK. This winter head and neck gear is lined with Polartec fleece at the base for extra warmth. This will keep your neck, ears, head and chin warm in a variety of guises all demonstrated in Buff’s Ways to Wear video. When extended over the head it will keep the warmth in and the wind off the ears whilst fitting snugly under your helmet. A great product for its versatility and warmth keeping you comfortable to get on the with the hard work of pushing the pedals. This will be an essential piece of kit on the colder days when cycling from London to Cannes. I talk to Laura Tilt, Dietitian & health writer, about nutrition and cycling. Could you tell us a little about yourself and how you became an expert in nutrition? Of course – and thank you for the invite to chat to you. I’m a registered dietitian and health writer with specialist interests in sports nutrition, weight management and digestive health. I do a mixture of work from advising patients and clients on a 121 basis to writing for magazines. I started studying nutrition around 10 years ago after my home economics teacher sparked my interest in the subject! I had always been interested in food and cooking, so it was a natural progression. After my bachelors degree in nutrition I moved to London and studied a masters in public heath nutrition, and I spent some years working as a health editor and nutritionist for the health coach fitbug (fitbug.com). I later decided I wanted to work on a more 1-2-1 basis with individuals so I returned to study dietetics, becoming a registered dietitian in early 2012. Like many fields of interest – you never stop learning about nutrition; it’s an ever-evolving science. How does that expertise extend to sport and cycling? I became more interested in sports nutrition a few years ago, and started writing for cycling weekly shortly after. I’m currently studying for the International Olympic Committee diploma in sports nutrition with a view to working more in this area. Training in Yorkshire is always challenging but pleasantly rewarding. In the face of tough climbing the weather can turn at a moments notice a challenging ride into a seemingly impossible one. 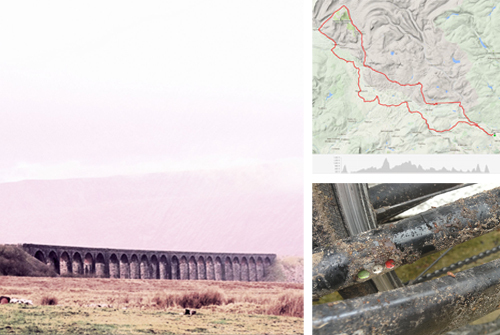 This Yorkshire Dales Ribblehead Route is a good challenge and rewarding with epic scenery my favourite being the twisty down hills into Settle. Wet and muddy with a puncture thrown in for good ‘getting mucky’ measure. A super misty and mizzly ride this Saturday; very limited visibility in the higher sections especially Leith Hill and surrounding area. 103 miles covered in total but and harder for the wet conditions. The Continental Grand Prix 4 season finally gave way to a puncture on the rear from a big piece of flint. First puncture in 1500 miles. Fantastic performing tyre all round. Elite bottle cage snapped which was disappointing sheared through at the base. Coffee, cake, bike cleaning and de-gritting.